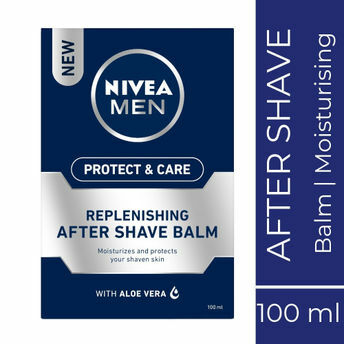 Nivea For Men Replenishing Balm gently soothes and conditions your skin after shaving. The light balm is easily absorbed and does not leave your skin feeling greasy. Your skin is left feeling smooth, supple and relaxed, long after application. The balm, especially formulated with caring ingredients, helps protect your skin against the irritations and inflammation that can occur from shaving. The new improved formula, with Sea Minerals, provides the skin with valuable moisture and keeps it looking healthy. Enriched with Vitamin E and Provitamin B5, the skin's natural protective functions are further strengthened and supported, leaving the skin soft, smooth and comfortable. For best results, shave with Nivea For Men Moisturising Shaving Foam of Moisturising Shaving Gel. Nivea For Men is advanced men's face care that improves the condition of your skin.